Want To Pick Up A Hobby? This Studio In Domlur Hosts Block Printing Workshops. For those of you who enjoy arts and crafts sessions, Amoha Prints conducts lovely block printing workshops that lets you take home a dyed scarf and printed coasters. Block printing is a great way for folks to pick up a new hobby since Amoha Prints sells starter kits that come equipped with tutorial videos and relevant material as well. Attempting to be sustainable and reduce their carbon footprint, the studio offers handmade blocks made out of teak wood. These last generations and can be a thoughtful gift to pass on to your children, or anyone really. They’ve also invested in non-organic dyes (non-chemical) that are commercially feasible for professionals. 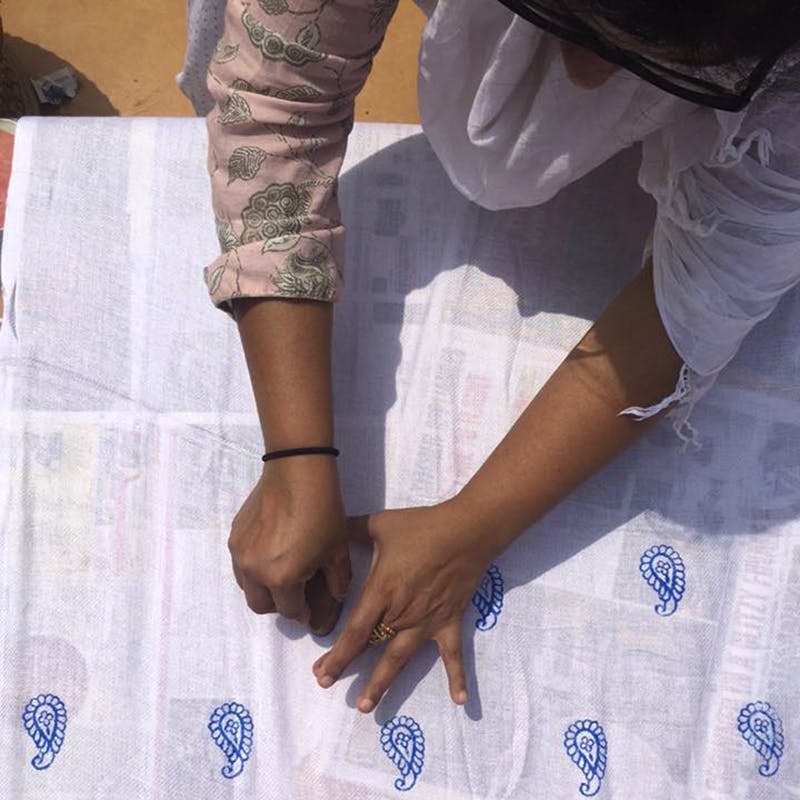 Block printing workshops are conducted at their studio in Domlur and range between INR 1500 and INR 1800. This includes the costs of cloth, dye, wooden blocks and assistance as well. After a quick briefing, the facilitators let you practice on paper to create wrapping paper and bookmarks. After the trial, you move to cloth, pouches and scarves. If you have family and friends living abroad who might be interested, Amoha Prints ships internationally as well. Be sure to check their website for information on their next workshop. If you have a birthday party or Sangeet coming up, hit up Pooja to curate a fun block printing session.